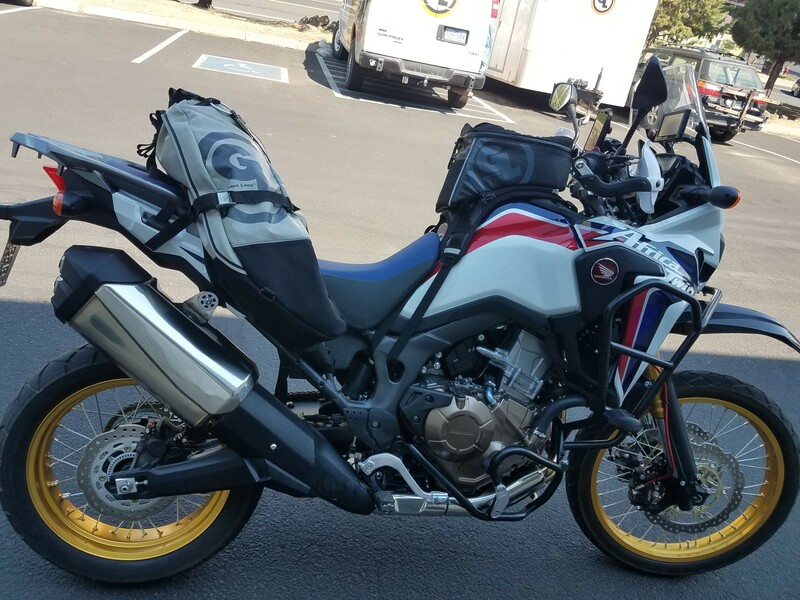 Nate, a local Bend customer, came by the Adventure Shop today with his brand new Honda Africa Twin CRF1000L to show us his fitting for his Coyote Saddlebag. 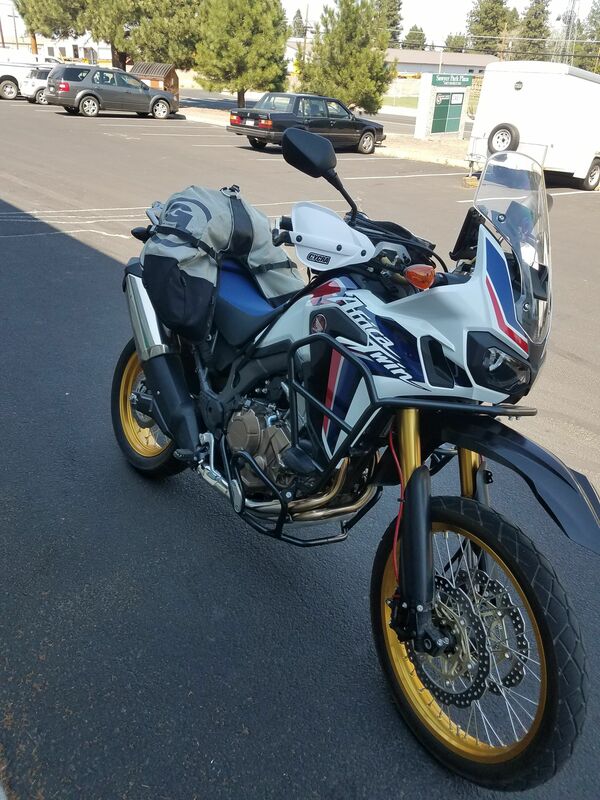 At 39L, the saddlebag fits perfectly behind the rider with room to spare for a dry bag or duffle to supplement bigger trips. 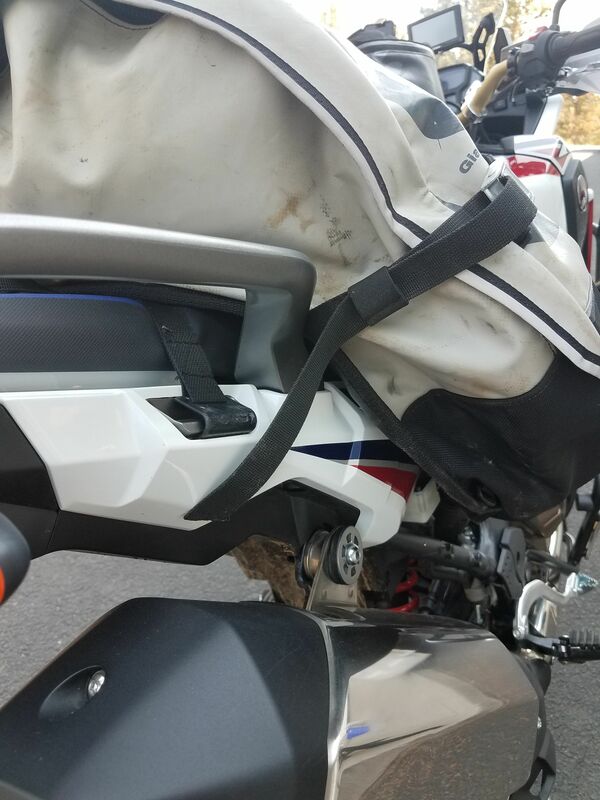 Even with the passenger footpegs removed, the lower anchor points on the bag fasten nicely to the frame to keep the bag out of the way with zero movement. The shape of the Coyote lends itself well to this bike, as it angles forward instead of down thus avoiding the wide pipe. 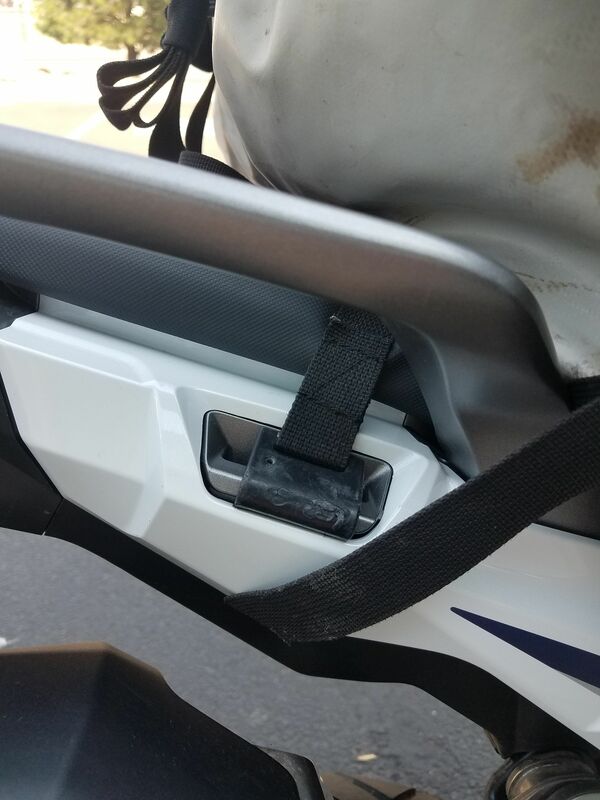 Conveniently the Coyote fender hooks fit perfectly and positively in the Twin’s existing hard luggage mounting points. The Giant Loop Fandango is also a great fit on this bike, sculpting well over the tank. East to access the fuel fill and see the dash instruments. Nate is about to head out on the Washington BDR. We thing this is a great set up for his trip!